We are please to announce EMSS Web Modules. At present we have deployed 4 Web modules under the EMSS Core product category viz. 1. Export MIS, 2. CHA Module, 3. Freight forwarder Module and 4. Client module. 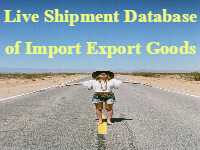 Export MIS module covers entire Export MIS on web and you can give access to users as per your requirements. CHA and Freight forwarder modules enables CHA and FF to update shipment details online so that you get real time tracking of your shipments. Your clients can track thier shipments online using EMSS Web Client module.